Consider incorporating these key principles when designing a fixed clinic. Use manufacturer's templates and size guidelines. If a certain amount of floor space is required, avoid the temptation to get by with less. Place utilities where indicated. Follow the manufacturer's instructions! Make sure the contractor has the templates and follows them. With the exception of doors for quiet rooms, make every operatory identical. This includes those to be used by the dental hygienist, as this provides for maximum flexibility of the clinic. 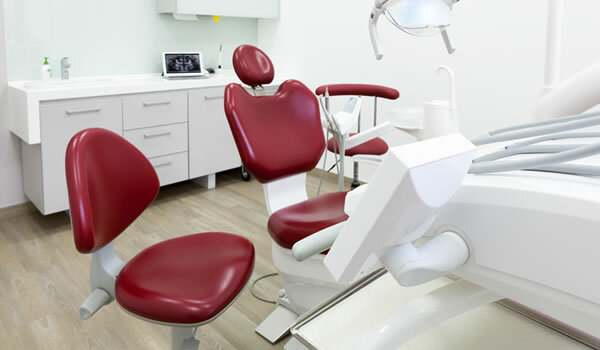 This will help to eliminate the problem of health professionals using "favorite rooms" the majority of the time, which can have a negative effect on dental clinic efficiency. If possible, have windows in the operatories to facilitate the selection of tooth color shades and to provide a pleasant atmosphere for patients and staff. North-facing windows are best, and East-facing are second best. Be cognizant of the exposure (when three people are in the operatory it can get warm quickly). Plan the venting system so that there is proper air exchange in each operatory. Set up the dental operatory so that it is easily converted for use by either a right-handed or left-handed health professional. The laboratory should have a door, due to the noises and odors that originate there, and an exhaust fan. Provide adequate overhead lighting in the operatories to prevent eyestrain. Provide vacuum and air systems with their own exhaust/intake lines. The trap for the vacuum system should be easily accessible for cleaning. The discharge point for the exhaust should not be near a fresh air inlet or open windows, and it should not discharge into a supply room or other occupied place. Do not run vacuum lines in the ceiling; they must be in or beneath the floor. Vacuum or water leaks wreak havoc on a dental office. Clinics must be able to provide care to patients with disabilities. Thirty-two inches is the minimum size for a space that will allow wheelchair access. Depending on the width of the side counters, this space is obtainable in the standard 10 foot by 11 foot operatory. If you will be treating a large number of people who use wheelchairs, you can widen the operatory by up to 12 inches (1 foot) to provide more entry room, without adversely affecting the use of the X-ray (radiograph) equipment. You may also want the foot of the chair to face the entry door, as this will place less dental equipment between the entry and dental chair. For more information on accessibility requirements, see “Compliance Requirements for Facility Design” later in this unit. Provide each operatory with two sinks. The standard X-ray arm will extend to allow the far side of the patient's head to be 72 to 75 inches from the mounting point. This must be considered when locating the dental chair in the operatory. Provide plenty of electrical power for each operatory for future expansion. X-ray equipment and sterilizers often require dedicated electrical circuits. Check manufacturers' recommendations. and ensure that they are followed. Provide each operatory with data jacks. Provide a staff changing area, with lockers, within the dental clinic area. This will facilitate the separation of clothing used to treat patients from clothing that is worn outside of the clinic, which is important for infection control. Consider future expansion by laying out the clinic so that additional operatories can be added at minimal cost to existing space or by adding space at a later date. Many clinics do plan to expand and have the foresight to provide the plumbing and electrical wiring to make expansion easier. Do not build the operatories until you can afford to staff them. Remember that additional operatories require additional staff and space (office and staff space) and may require a bigger vacuum and compressor. The sterilization area must have a “dirty” and “clean” area to meet infection control guidelines. Visit the construction site two to three times a week to review progress and to make sure the design specifications are being followed. Mobile and portable oral-health-care delivery systems are briefly discussed in Unit 1. The Association of State and Territorial Dental Directors developed the 2007 Mobile-Portable Dental Manual, similar to this one, that includes materials to help organizations make decisions about mobile and portable dental programs.